The Central Tibetan Administration has urged the newly appointed Chinese leaders to allow a visit by UN officials to Tibet. The newly appointed Chinese leaders should accept the requests for official visits to Tibet by the UN nominees and implement recommendations made by its agencies, Tibetan political leader Lobsang Sangay said here on Saturday. The strong and unprecedented statement of United Nations High Commissioner for Human Rights Navi Pillay and visit by US Ambassador to China Gary Locke to Tibet clearly show that the situation there needed to be urgently addressed, said the political successor to the Dalai Lama. 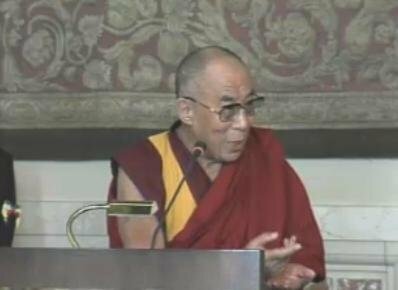 He was addressing a prayer meeting organised by the Central Tibetan Administration (CTA) to express solidarity with those who "sacrificed" their lives for the cause of Tibet. Meanwhile, one more person died after setting himself on fire in Luchu in Kanlho in north Tibet Thursday night, taking the number of self-immolations to 80 since March 2009, including 18 in this month alone, claimed the CTA. Sangay said despite repeated CTA appeals not to take drastic actions, self-immolations continue in Tibet. "I appeal to the international community and governments to stand for justice by answering the universal aspirations of Tibetans in Tibet: the return of His Holiness the Dalai Lama to Tibet and freedom for Tibetans," he said. appealed to Tibetans and supporters around the world to participate in the global solidarity day December 10.